Stock wrestling singlets and warm ups can ship today and are 25% off. Custom sublimated Prosphere wrestling singlets are 25% off and available in any color, minimum 12. Why go to shop4teams.com for wrestling singlets? 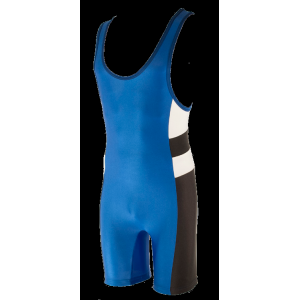 They offer a large selection of wrestling singlets both in-stock and custom sublimated. Shop for in-stock uniforms that will ship quickly from our warehouse or purchase Prosphere ADV sublimated wrestling singlets that will be customized with your team colors. Browse through our vast assortment of apparel and find the wrestling uniforms that are right for you. With so many options we are sure to have the perfect gear for your next match. Parents getting their kids into the sport at a young age need to be sure to check out our collection of youth wrestling singlets. With the rise in mixed martial arts, many young athletes build a foundation through wrestling. 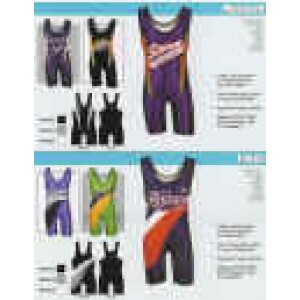 Shop4teams.com is your source for custom wrestling singlets for teams. If you're tired of broken promises and poor quality, we're ready to show you just how easy the process can be. You can save a lot of money on all of your wrestling singlet and apparel needs when you shop with shop4teams.com. For any questions or quotes, feel free to give us a call! Our trained staff is standing by ready to assist you with your needs. Contact us today to save on the uniforms, clothes and apparel you need! We're proud to offer great quality wrestling singlets, quick turnaround times, low minimum order sizes, and a satisfaction guarantee for all of our wrestling singlets and other team apparel. All of our sublimated singlets have the colors are dyed right into the fabric. That means your singlet will never crack, peel, or fade, and it will stand up to all the abuse your wrestlers can dish out.